The Arlanda Express train is a fast and economical (by comparison) way to go from ARN to the city center. 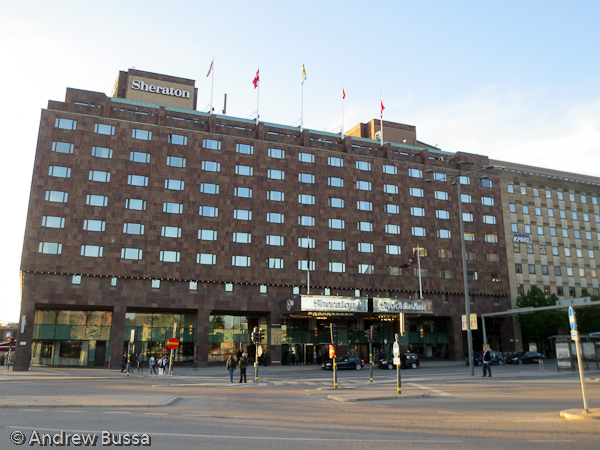 I was only a few blocks away from the Sheraton Stockholm, home for the next two nights. My parents stayed there a few years ago and liked it; it's also the only SPG property in town. The hotel seems busy at all hours, luckily they honor the SPG elite lane and I was quickly checked in to a corner suite. The room was a little bit dated and the air conditioning was woefully under powered (it also needs the air filter changed more frequently than the carpet is changed). Luckily the windows opened, so I settled for a nice breeze. The hotel is in a great location or tourism and work. The club lounge was the best part of the hotel. 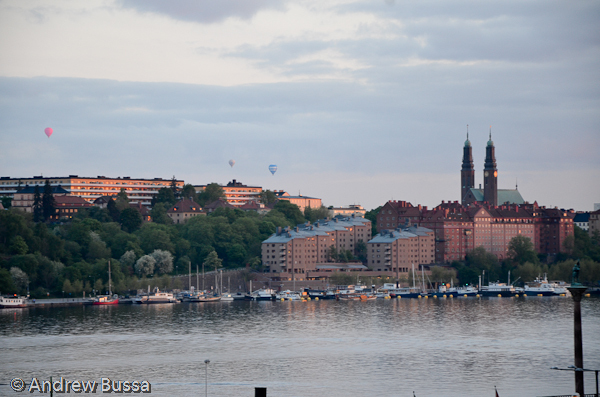 Food and beer in Stockholm is expensive, so free food and beer are great. 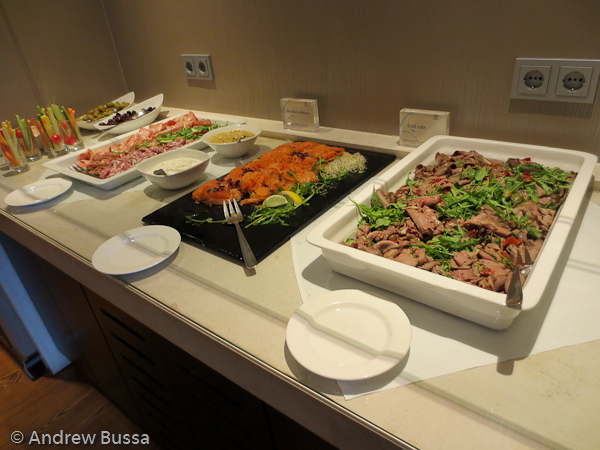 The club lounge had an outstanding dinner spread with salmon, cold cuts, soup, and beer (wine too if you prefer). The staff was also super friendly and kept everything in stock and the lounge was spotless. Breakfast was delicious too. 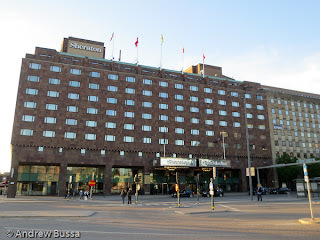 I would return to the Sheraton if I'm in Stockholm again, but I hope the renovate the rooms before then. I'd also like the Hilton to not be $400/nt so I can try the competition. After my two days were up (royal palace, Vasa museum, wandering around), I was heading back to Denver. My girlfriend was able to change my flights to remove a long stopover in Chicago and a short stop in Houston. Originally booked for ARN-ORD-IAH-DEN I was now on a simple ARN-FRA-DEN trip with a brief, almost too brief, stop in Frankfurt. 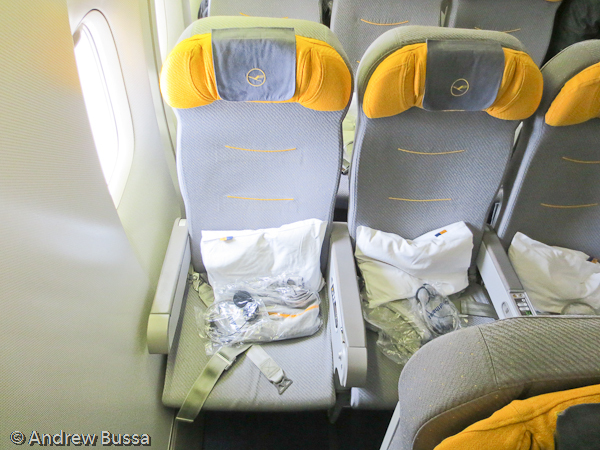 The Lufthansa flights were very pleasant. Their food is tasty in every cabin and the flight attendants are always superb. It was especially nice for me because I got an exit row (these seats open up to general customers 48 hours before departure) and had no seat in front of me. It made for a relaxing and comfortable flight home, even without a personal TV. Customs clearance in Denver went very quickly. The US citizen line was short (usually the case when flying a foreign carrier) and my bag was one of the first to pop up. A relaxing end to a relaxing trip.